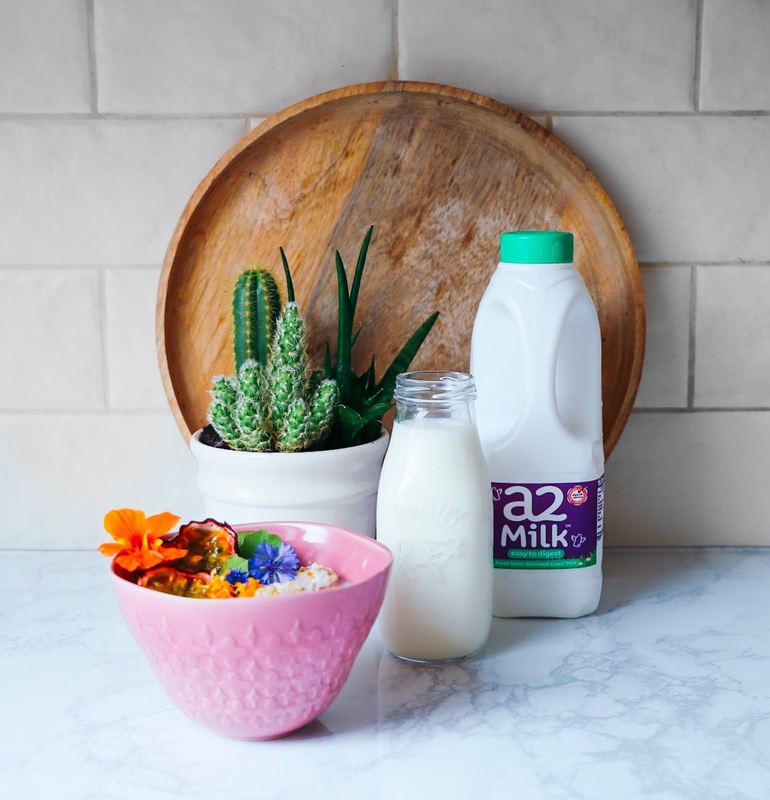 Switching To A2 Milk + Porridge Recipe | . Okay so since being pregnant i've definitely been drinking more milk. Before hand i only had it with my trillion cups of tea - i never had breakfast / cereal or a glass of it. I've got to be honest it doesn't sit very well with me. I always felt bloated or just uncomfortable so swayed more towards soya milk if i was ever to have more than a dash of it. 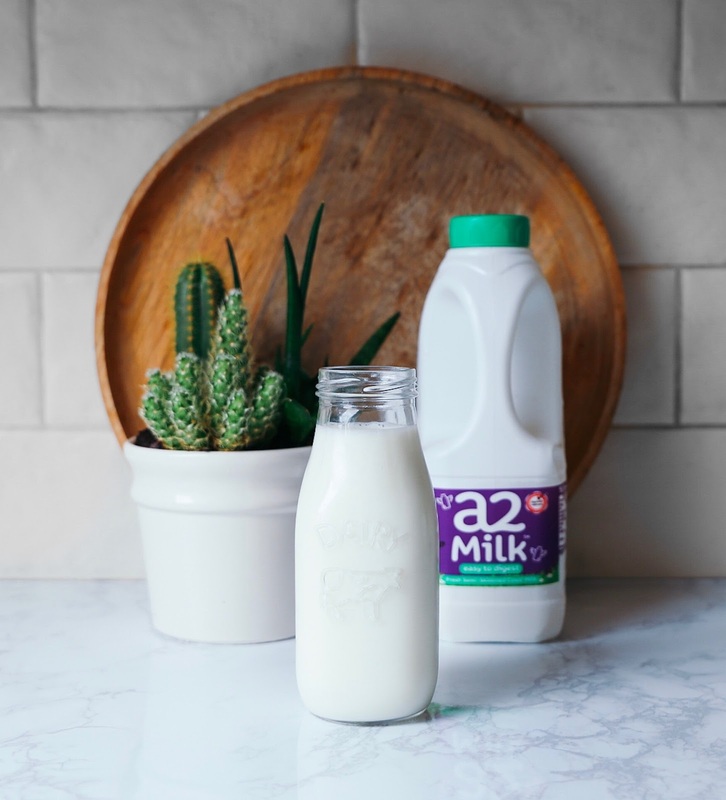 In basic terms this is still cows milk but just doesn't carry the A1 protein that normal milk does which can trigger symptoms of milk intolerance. So i thought i would put a little recipe together and tell you about this because it honestly has been a bit of a game changer for me. Edible flowers - yay mine have finally bloomed! For the porridge, mix the oats with the coconut milk,salt and A2 milk in a large saucepan. Place over a medium-high heat, bring to a boil then turn the heat down to low and stir well. Cover with a lid and leave to cook for 5 minutes, stirring once or twice, until the porridge is thick and creamy. Stir in the honey and almond butter if using. I like to add a dash of milk on top of my oats at the end just so i have some different textures going in to my gob. Hope this helps your tummys!